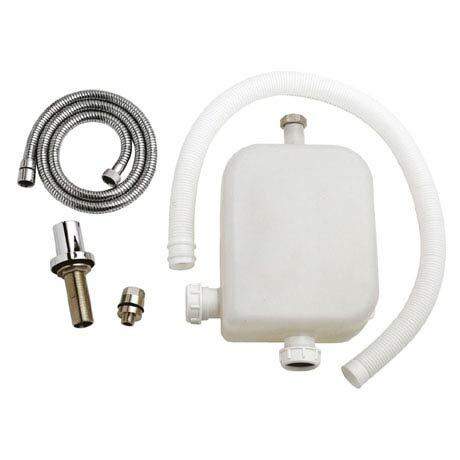 The Hudson Reed Chrome Deck Mounted Flex Shower Kit EA383, a Shower Holder Hose Retainer For use with deck mounted 4 tap hole bath shower mixers Deck shower kit. Great product for the price. Wish that it hadn't taken so long to be delivered! - it took over a week to arrive.